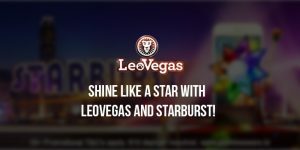 LeoVegas has just launched its Starburst £150,000 giveaway. As well as cash giveaways, the popular casino website is offering a range of other prizes, including an iPhone X, a share of £100,000 and free spins for website users. The offer is available to everyone who plays £100 on a selected LeoVegas Starburst online game during the promotion period, which runs from 23:01 of Thursday 24 September until 22:59 on Tuesday 24 October. You do not need to use any casino bonus codes to take part in the promotion. If you play and meet the criteria, you will receive an entry into the prize draws. Every player who collects 10 tickets during the LeoVegas Starburst Festival will be entered into a draw to win £10,000. The final draw will take place at the Celebrity Blackjack Table at the end of the promotion period. There will also be a daily draw for a brand new iPhone X. Players will receive one entry for every ticket they collect up to a maximum of ten tickets every day. A range of free spin promotional offers will also be available to users throughout this promotion. Don’t forget to take a look at the wagering requirements for the promotions. The LeoVegas promotion is an exciting chance to win some great prizes alongside the fun of online casino games. The free spins will give you the chance to play a little bit more and the chance of winning an iPhone X or £10,000 may well tempt several players to the virtual tables this September and October.